Eight years ago, a two-pound kitten named Buddy adopted us. He was on his own for the first 12 weeks of his life, and the memory of his feral days resurface whenever we go to the vet clinic. I suggested falconer’s gloves to our veterinarian, who laughed and said “This ain’t my first cat rodeo” before tackling my tiny wild beast. That vet deserves a medal or at least a lifetime supply of Betadine and Band-Aids. In the past few years, Buddy’s real-life adventures have rivaled those of even the most daring fictional kitty. He’s been cornered by predators and captured by brambles and the resulting rescues inevitably required ladders, clippers, brave volunteers, and a whole lot of swearing. (By humans, that is. No idea what Buddy was saying, although it’s safe to assume it might have been “Get me out of here!”) He’s broken or dislocated more bones than I can name and now sports a non-retractable razor-sharp claw. And, despite being uncoordinated to the point of being unable to climb trees–not a bad thing, in my opinion–he’s managed nonetheless to scramble over a tall fence more than a few times, only to discover he couldn’t get back over the way he came. Once, he landed in a yard owned by a pit bull. (To be fair, their meeting was entirely Buddy’s fault and the dog wisely retreated before the interloper attacked.) Is it any wonder we call him Buddy The Wonder Cat? He watches Westminster dog show every year, and he’s not shy about announcing his favorite (last year, it was the Great Pyrenees). We no longer let him watch any shows with lions, though, after he imitated their habit of dragging off their kill. In Buddy’s world, he drags off whatever he decides to claim as his own, and good luck finding his booty once he stashes it. To date, that includes the electrician’s pliers, the plumber’s wrench, a house guest’s scarf, the dog’s leash, and every string he can find. The strings are the only things that routinely turn up–in his food dish and water bowls. Since Sasha joined the household, he’s decided he likes having a dog of his own. He joins her for training sessions and scent games and is apt to “help” her when she loses the trail or overlooks something I’ve hidden. He watches over her while she eats and keeps her company whenever she’s crated. When she’s out of the house without him, he paces until she returns and he can see for himself that she’s okay. 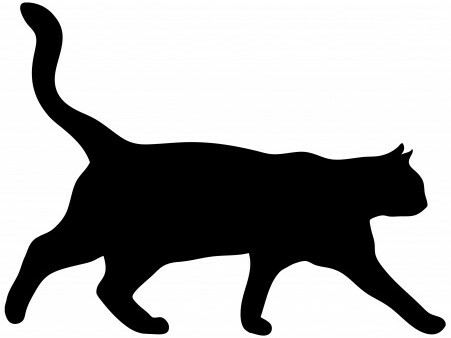 You’ll meet Buddy The Wonder Cat’s fictional self in Dangerous Deeds (book #2 of the Waterside Kennels mystery series). While that’s making it way through the book pipeline, here’s a slideshow featuring the many faces of the kitty who came to stay. I’ve heard it said there are close-knit groups of owners and handlers in obedience, agility, conformation, and (I imagine) just about every other dog-related activity. That seems to apply to the world of dog-related fiction, too. Our conversations and emails and social media accounts tend to be chock-full of All Things Dog. We commiserate through the rough times while we’re slogging through drafts, edits, rejections, and rewrites. We encourage and support one another through publication and beyond, and we celebrate when success comes knocking for any one of us. Today, we’re celebrating the latest award earned by author and fellow dog lover Sue Owens Wright. 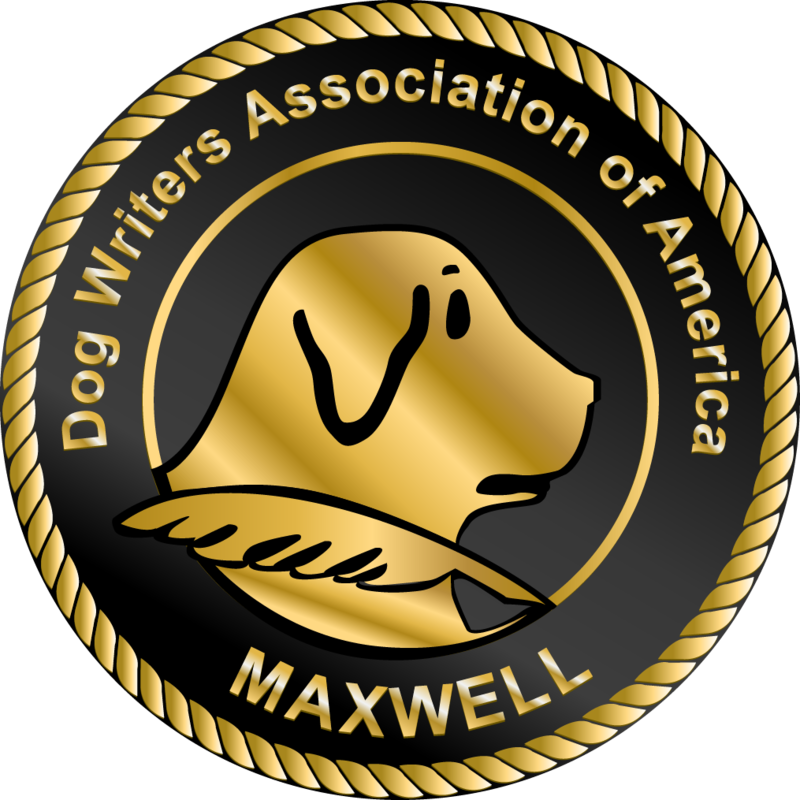 The Maxwell Medallion is the Dog Writers Association of America’s prestigious award for excellence. For many, it’s considered the most celebrated award recognizing outstanding writing across myriad media–from newsletters to magazines to blogs to books (and a whole lot more). You can see the entire list of nominees and category winners here. To learn more about DWAA, visit their website. If you’re already familiar with this series, enjoy this behind-the-scenes look at the experiences and inspirations for the books. 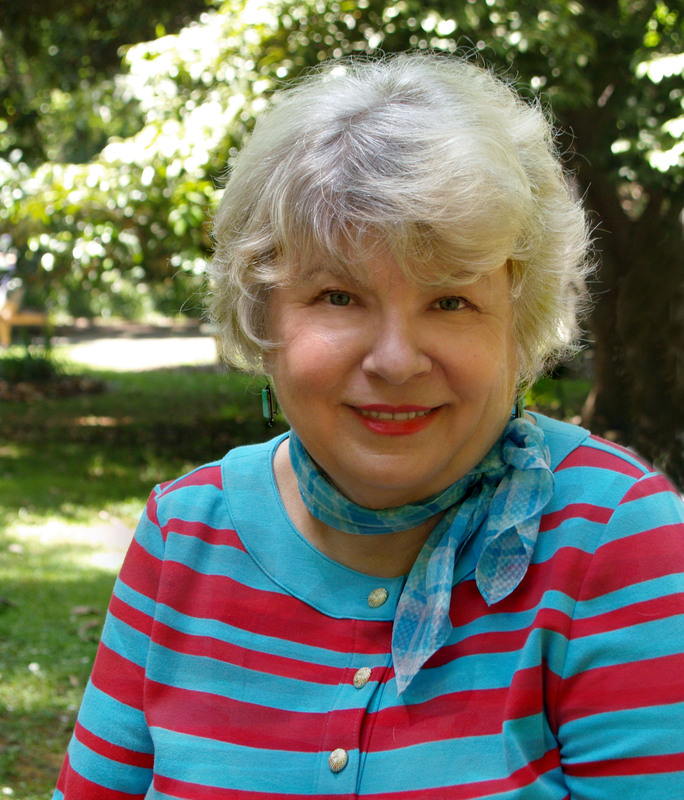 If Sue is a new-to-you author, I’m glad to have this opportunity to introduce her. 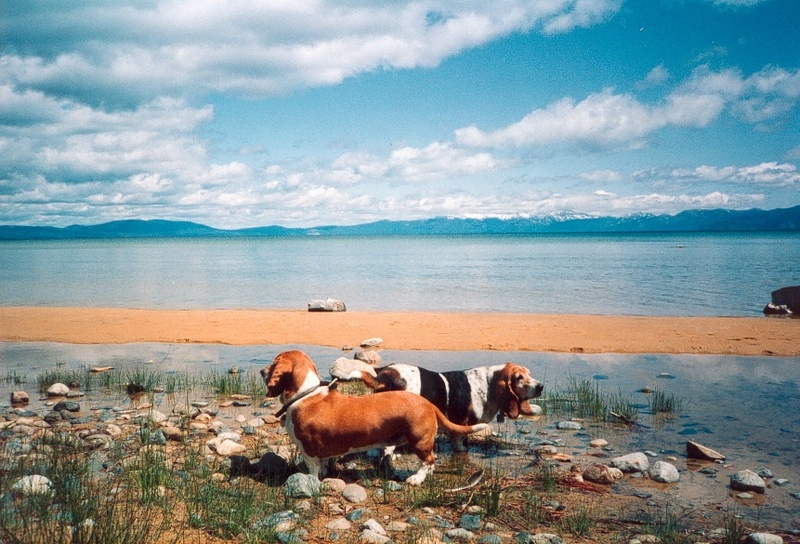 If you enjoy mysteries with a regional flair (this one’s set around Lake Tahoe) and love Basset Hounds, here’s an author you’ll want to meet! You’ve won three Maxwell Awards from the Dog Writers Association of America. What were they awarded for? Since 2001, I’ve been nominated 12 times for the Maxwell Award and have won this prestigious award twice before for the best writing on the subject of dogs: Best Magazine Feature in 2003 and Best Newspaper Column in 2005. In 2004, I received special recognition from the Humane Society of the United States for a magazine feature I wrote about stray dogs in Greece. Four of the five books in the Beanie and Cruiser Mystery Series have been nominated for a Maxwell, but this is my first win for a novel, a dream come true. Third time’s a charm. Why do you write about dogs? My relationship with dogs goes back a long way. I had a dog when I was still in the womb. I have an old black and white photo of my mom when she was pregnant with me. In the photo with her is a tan mutt named Dusty. 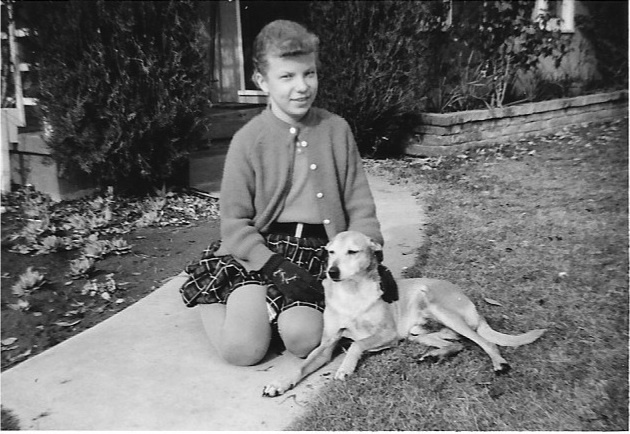 When I was born, there was Dusty, who would be my constant and best companion throughout childhood. I’ve never been without a dog since, and my bond with canines is unbreakable. I’ve lived with dogs, slept with dogs, traveled with dogs, and been sick as a dog with dogs, furry empaths who have been a great source of comfort. I’ve rescued dogs, and they rescued me right back. It stands to reason that I would spend my life writing about woman’s best friend. If there is such a thing as destiny, then for me it came with a friendly bark and a wagging tail. Poetry was actually the first writing of mine ever to be published when I was in college. Besides the Beanie and Cruiser mysteries, I have written some nonfiction books, including “150 Activities for Bored Dogs,” “What’s Your Dog’s IQ?” and “People’s Guide to Dog Care.” I also wrote a historical thriller, “The Secret of Bramble Hill.” For a decade, I wrote an award-winning pet care column for Inside, a Sacramento publication. 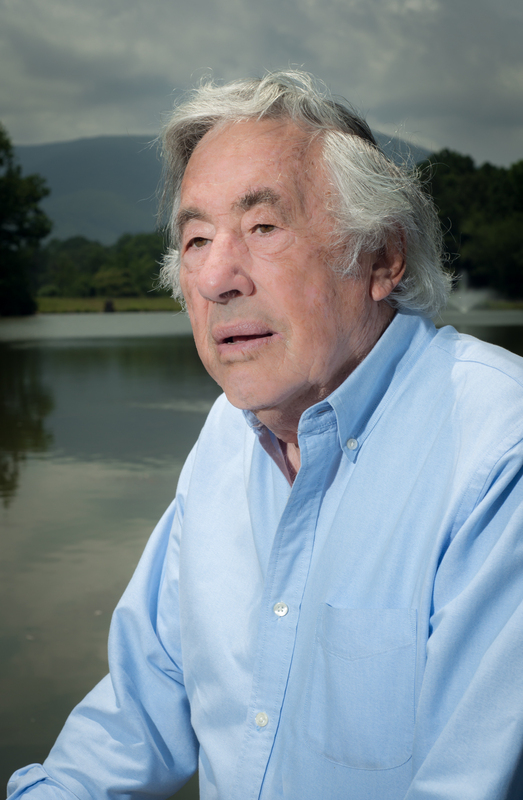 I’ve written essays that were published in newspapers, magazines, literary reviews and anthologies, most notably “Fightin’ Words—25 Years of Provocative Poetry and Prose from the Blue-collar PEN,” along with Norman Mailer and other literary luminaries. I was a columnist and senior writer for Comstock’s Magazine. I have written science articles for a technology magazine and also wrote film scripts for an educational firm. In what ways are your fictional dogs, Cruiser and Calamity, like your real dogs? I’ve had eight basset hounds over the years, all but one of them adopted, and they have provided me with plenty of material for my fictional canines. 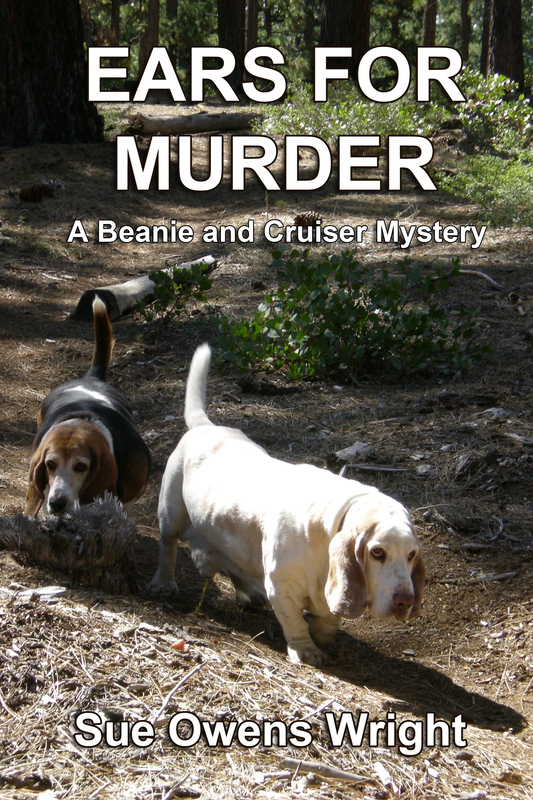 My two rescued male bassets, Bubba Gump and Beau (he graces the book cover of “Ears for Murder” along with my now 16-year-old female, Peaches), inspired the Cruiser character, also a rescue. True to his breed, Cruiser is devoted, easy going, tenacious and stubborn. These low-slung hounds tend to make great speed bumps around the house for their people to trip over—and I have. Calamity, the troublesome basset hound introduced in my fourth book, “Braced for Murder,” is a composite of my two most challenging rescue dogs, “Crazy” Daisy and my fearful little Peaches. Daisy was the worst of the two; I sometimes refer to “Crazy Calamity” in the book. Like Calamity, both Daisy and Peaches were the unfortunate victims of puppy mills and backyard breeders who failed to properly socialize them as puppies. Daisy was an inbred anomaly that no amount of socialization could have helped. She was a strange canine case of Jekyll and Hyde. With her, I learned it is wise never to answer ads placed by someone rehoming an adult dog. There’s usually a good reason they don’t want you to know about. I found that out the hard way with Daisy, but I loved her and didn’t give up on her. Beanie doesn’t give up on Calamity, either. Why did you decide to set your Beanie and Cruiser Mysteries at Lake Tahoe? I’ve been traveling to Lake Tahoe since childhood. I was born in a valley, but my heart is in the high country. I have always enjoyed skiing, hiking and bicycling at Lake Tahoe. I once pedaled my bike all the way around the lake, a challenge even for the best cyclists. I discovered why Incline Village is so named. I have long been inspired by this scenic alpine lake and its surrounding history and folklore, which is why I chose to set my series at Lake Tahoe. It has inspired other writers, too. How could it not? As Mark Twain wrote when he first glimpsed Tahoe’s serene and pristine beauty, the lake is the “fairest picture the whole world affords.” I couldn’t agree more. I often visit Lake Tahoe and wish I could live there. Instead, I live vicariously through my character, Elsie MacBean, who shares a cozy cabin in the woods with her basset hounds, Cruiser and Calamity. The idea for “Howling Bloody Murder,” the first book in my mystery series, came to me while I was sitting on the back deck of my family’s cabin with my own beloved bassets. Peering out into the deep, dark woods, I wondered what might be lurking out there waiting to pounce on an unsuspecting hiker. My imagination carried me away, and that is how the Beanie and Cruiser Mystery Series came about. I quickly discovered that I had made a mistake in allowing Calamity off her leash for our morning walk. Before I could say Fleabiscuit, she scurried off, creating a cyclone of dust in her wake. “Calamity, come back here!” I shouted, but she showed no sign of slowing her pace. Soon, all I saw was a dirt devil instead of the dog as she vanished from my sight. What had I done? I shouldn’t have trusted that dog off her lead for one instant. Nona would never forgive me if I lost her dog while she was away, just as I’d never have forgiven her if she lost Cruiser. By the time I caught up with Calamity, I felt like I had sucked up half the mountain into my lungs. I sputtered and coughed, trying to catch my breath from running after her and inhaling all that dust. Why I’m not as svelte as my runway model daughter is anyone’s guess. It seems like I spend most of my time chasing after wayward canines. Cruiser had passed me somewhere along the trail and was busy helping Calamity investigate something. I approached to see what they’d found that was so doggone interesting that they made me run half-way up the mountain to see it. A couple of coyotes spotted us and vanished in a cloud of dust. That could have been the howling I’d heard and what attracted my dogs here. When the dust settled, I discovered something else besides my two hound dogs marking a surviving tree. They had led me straight to a man’s bloody corpse. Excerpt from Ears for Murder by Sue Owens Wright. Copyright © 2017 by Sue Owens Wright. Reproduced with permission from author. All rights reserved. You can follow Sue on her website at http://www.sueowenswright.com/. Whether you’re a writer or a reader, Nora Roberts’ post Plagiarism, Then and Now is worth your time and serious reflection. In that post she shares her own heart-wrenching experience and confronts what she calls “this ugly underbelly of legitimate self-publishing.” It’s both humbling and awe-inspiring that a writer of her stature would stand and fight in defense of honest authors, whatever publishing path they choose. I hope you’ll read the post in its entirety. The more I read about the plagiarist-pirate-thief Cristiana Serruya the worse the story becomes. While it’s possible her thievery did not extend to mystery fiction, it’s unfortunately quite probable that another wordsnatcher is out there raiding our work. (For the record, I cannot claim to have coined wordsnatcher; a quick search online turned up this post on the No Bad Language blog.) If you’re a writer whose work has been stolen, Courtney Milan has excellent suggestions to help you here. If you’re just discovering my books and want to know what to read first, here are some recommendations. If you’ve already read all my books, and want to know which authors I enjoy reading here are some more recommendations. I appreciate writers who take the time to spotlight other authors. I also appreciate those writers, their publicists (hat tip to Laura who took time to answer my email about this post), and other support staff who share behind-the-scenes details and information. My latest discovery is the Index O’Answers on Nora Roberts’ blog. p.s. If you’re curious about the different legitimate paths to publishing, check Jane Friedman’s website to see the chart Key Book Publishing Paths (updated annually). Note: I received a complimentary copy from Partners in Crime Virtual Book Tours and enjoyed the book so much that I purchased a copy. Look for my review very soon. Max Paddington refuses to go into the light until he finds his killer. This presents a dilemma, since Max is even less competent as a spirit than he was as a live person. No one sees or hears him and he can’t manage to get anywhere or do anything on his own. Joe Cavelli is a private investigator, living an ordinary life. Then one day he walks across a parking lot, gets yelled at by a ghost, and his life only gets stranger from there. Max and Joe team up to find Max’s killer. In the process, they form an unlikely friendship and change each other’s lives in ways they never expected. Joe fumbled with the lock on his door. Once inside, he flipped the deadbolt and headed straight for his bedroom. He didn’t bother with lights, didn’t undress. He sprawled face down on the rumpled sheets and exhaled a long sigh. Mysterious voices and dead people. This night could not get any crazier. Lydia must have spiked his drink with some sort of hallucinogenic. Maybe she thought he’d enjoy the trip. Or maybe she was crazy. He should call Chris, make sure he was okay. Joe shuddered, a tiny shriek escaping his lips. He sounded like a scared girl. Jesus. “Don’t do that!” he shouted. Joe flipped over and stared into the darkness. Nothing there. Not even a tiny blip. No weird shadows, no floating orbs. So much for what they claimed on all those ghost-hunter programs. Before he could give it much thought, Joe found himself grabbing his laptop from the top of his dresser. He sat on the edge of his bed, waiting for it to boot up, and thinking about how crazy this all was. He hadn’t watched the news last night or at any time today. Someone could have been murdered in that parking lot yesterday. But a ghost, following him home? Crazy. Joe typed the name into a Google search. He found the story on TBO.com. He scanned the article, not sure whether he should be happy or mortified. A man named Maxwell Paddington had been murdered in that parking lot last night. Shot in the head by an unknown assailant. The police had no leads, though they believed it might have been a carjacking gone bad. “What person?” Joe heard himself ask. The room fell silent. Joe waited a moment, then did what he always did when he was in trouble. He dug his cell phone from his pocket and called his big brother. Joe quickly filled his brother in on Max. He heard the desperation in his own voice and forced himself to slow down. This was crazy. He was crazy. That was the only explanation. As Joe listened to Jimmy talk about the ghosts from his childhood, fragments of memories surfaced. All those voices talking to him. He’d thought it was normal, that everyone could hear them. Soon he’d realized how wrong he was, and he’d tried to keep them secret. His father, then the psychiatrist, had insisted there were no spirits talking to him. All of it was his imagination. His father had demanded he stop pretending and acting like a baby. The psychiatrist had scared him with his constant questions and disapproving eyes. Not long afterward, the voices had faded away. “You’re saying I really heard the voices of dead people?” Joe said. Joe sat with the phone pressed against his ear. He could find no words. Which was worse, being crazy or having real conversations with dead people? “You should call Mom,” Jimmy said. 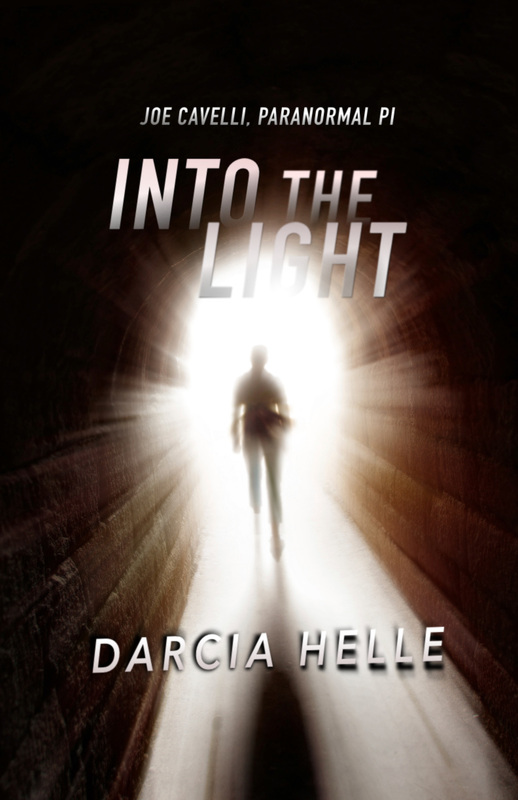 Excerpt from Into the Light by Darcia Helle. Copyright © 2019 by Darcia Helle. Reproduced with permission from Darcia Helle. All rights reserved. 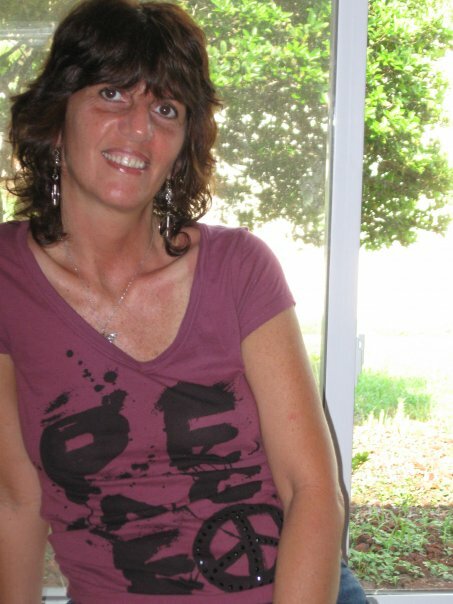 Darcia Helle is a Massachusetts native, who escaped the New England winters to write in the Florida sunshine. She lives with her husband in a home full of spoiled rescue animals and an occasional stray lizard. She writes because the characters trespassing through her mind leave her no alternative. darciahelle.com, Goodreads, Twitter, & Facebook! 02/08 Review @ Archaeolibrarian – I Dig Good Books! 02/13 Review @ Archaeolibrarian – I Dig Good Books! 02/19 Review @ Stacking My Book Shelves! This is a rafflecopter giveaway hosted by Partners in Crime Virtual Book Tours for Darcia Helle. There will be 1 winner of one (1) Amazon.com Gift Card. The giveaway begins on February 1, 2019 and runs through March 1, 2019. Void where prohibited. The wind picked up yet again, joined by spatters of cold rain and the rustle of leaves from the encircling shrub. All at once, the lantern flicked off, a scream cut through the wind and spatters. The cries became muffled, replaced by the grunts of a hulking figure clambering up the knoll, coming directly toward him with something writhing and flailing over its back. For one interminable moment, he caught sight of her eyes, frozen, terrified, beseeching him. Reflexively, despite every decent intention deep in his bones, Harry dropped the Maglite, turned and ran down the slope, tripping and stumbling, falling to his knees, righting himself, smacking into a brush that scraped his cheek. Rushing headlong now, smacking into more brush and banging his elbow, he kept it up, twisted his ankle but hobbled forward fast as he could until he reached his station wagon. Squirming behind the wheel, he fumbled for his keys, dropped them on the mat, groped around, snatched them up, grinded the ignition, set both front and back wipers going and shot forward hitting the trunk of a tree. He backed up into the hedgerow, turned sharply, not daring to flip on the headlights, scraped another tree and slid onto the narrow lane. He switched on the low beams so he could see where he was going in the drizzle and fog and began making his way down. Dull headlight beams flashed behind his rear window and faded. With his mind racing and the wipers thwacking away as the rain lashed across the windshield, he careened down the zig-zagging lane and thought of the car that was wedged under the branches parked on a downward angle and the hulking figure carrying his prey over his shoulder shambling toward it. And her eyes, those beseeching eyes. He might have a few seconds lead before the girl was tossed in the trunk . . . or deposited in the cottage while the driver lying in wait exchanged signals and went after him. So many what-ifs? while some cowardly part of him only wanted a place to hide. Then the dull, low beams flicked on again, glinting on his rearview mirror. Straining to see through the wipers and beads of rain, he turned off down Sunset, then onto a flat, darkened stretch, then gunned it through an amber light over the tracks across brightly lit Route 70. He drove away from the tracks where the girl doubtless had been tailed, came upon a T and swerved left onto a sign that said Old Route 70. In no time, he spotted a Grove Stone Quarry, but the gates were closed and he could swear the low beams tailing him flicked on again. If only he could stop veering all over the place, if he could get behind those humongous mounds of sand and stone. Ignoring the traffic light, he cut to his right and swerved up a road bordered by a high wire fence demarcating a prison facility, sped past until he was hemmed in by walls of white pine. The walls of pine were intersected by for-sale arrows and a bright red banner. He killed his headlights altogether, swerved again into a cluster of model homes that formed a cul-de-sac, and coasted to a stop as the car stalled. He got out and followed an exposed drain pipe that angled down until it cut off at a rain-slick paved drive onto a neighborhood of two-story houses, porch lights and street lamps. His ankle gave way again as he became fixated on circling back to that massive, enclosed hiding place where he could try to get his bearings. The cold rain beat down harder. Though the Blue Ridge range hovered in the near distance, it was shrouded in mist and offered no comfort. 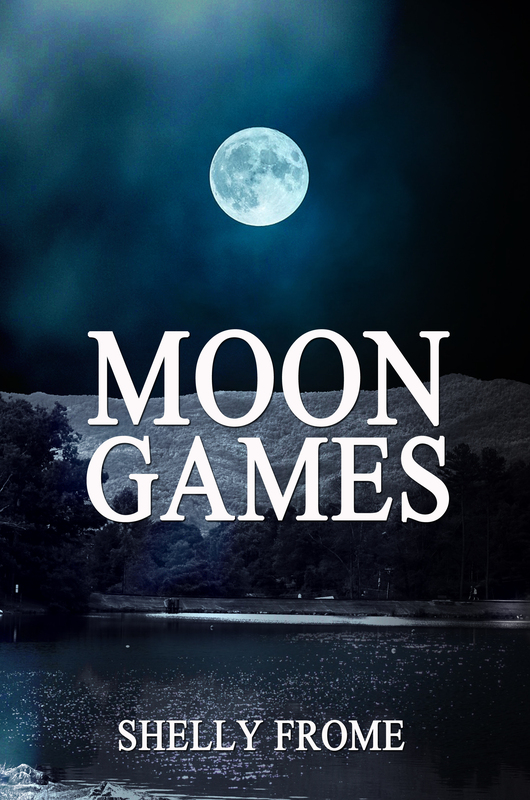 Excerpt from Moon Games by Shelly Frome. Copyright © 2018 by Shelly Frome. Reproduced with permission from Shelly Frome. All rights reserved. This is a rafflecopter giveaway hosted by Partners in Crime Virtual Book Tours for Shelly Frome. There will be 1 winner of one (1) Amazon.com Gift Card. The giveaway begins on November 6, 2018 and runs through November 14, 2018. Void where prohibited.